mcg (50%), Boron (sodiumboraat) 75 mcg (*). 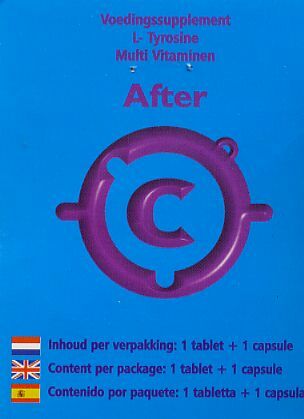 (*) ^ RDA unknown, (%) = Recommended Daily Allowance. Feeling tired and depressed after using XTC? 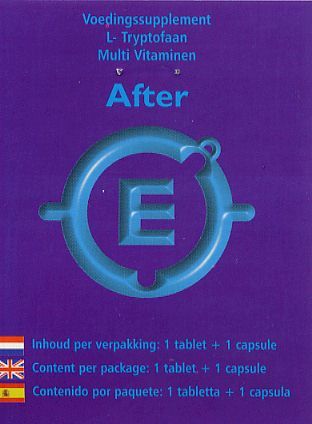 then use AFTER E. An extra dose of vitamins and minerals help you recover faster and make you feel better. The Tryptophan makes sure you that you see the sun shine again by bringing the neurotransmitters back into balance. (*) = ADH niet bekent, (%) = Aanbevoien DagetiJkse Hoeveetbeid. (*) = RDA unknown, f%) -- Recommended Daily Allowance.